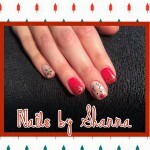 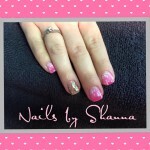 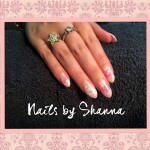 Shanna Anderson owns Nails by Shanna, her Facebook Page has her contact information. 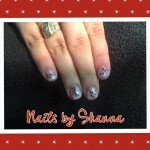 She is a licensed cosmetologist. 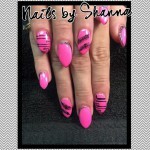 She does nails and pedicures using a gel product called Light Elegance to do artificial nails as well as offering soak off gel polish.